Welcome to Planet Depos, where finding a qualified court reporter in Hong Kong has never been easier. We have local experienced and professional Hong Kong court reporters providing the highest quality transcripts in every area of law, including intellectual property, pharmaceutical, environmental, construction, medical malpractice, labor and employment, securities and commercial litigation. Our local, highly skilled court reporters have decades of experience making the record under the auspices of various international bodies and rules. All of our deposition suites are outfitted with video conference equipment. With local legal videographers, Planet Depos makes videoconferencing in Hong Kong easy. Our conference locations are fully stocked with office supplies, refreshments, wireless internet and copy/fax machines. 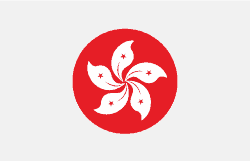 Hong Kong is a member of the The Hague Evidence Convention. When scheduling an interpreter, make sure to note whether the dialect needed is Mandarin or Cantonese. Court reporters are not authorized to administer the oath in Hong Kong, so the oath will need to be stipulated on the record. Another option would be to apply to the court for a Commission to Administer Oaths. Contact us for assistance with hotels and conference rooms in Hong Kong. Chinese New Year is the most beloved of all holidays in Hong Kong (also Taiwan). The actual dates vary each year, but one thing that does not change – this is the busiest, most expensive travel season in Hong Kong. It is worth checking your deposition dates to make sure they do not fall within Chinese New Year, as interpreters will usually decline to work during this holiday, and conference rooms will be booked far in advance, etc. Street food! Hong Kong is renowned for its food, particularly the street food. A food tour is a must in this city – try stinky tofu, fish balls, and other unique dishes. You can even get dim sum dishes street food style! Victoria Harbour – the largest harbor in China anchors one of the world’s most spectacular skylines. Definitely a must-see if depos take you to Hong Kong, whether you walk through the promenade or hop on a ferry. Check out the Planet Depos checklist specific to taking depositions in Hong Kong and be ready for your next deposition. Planet Depos offers cost-effective and reliable realtime, transcription, and related services for arbitrations in Hong Kong. We are approved to provide Judicial Services, and our local reporters have experience with the formalities and procedures of the Hong Kong court system. Before you book your travel to Hong Kong, make sure you check out these Hong Kong Travel Tips.